Manchester United are reportedly the latest club to enter the race for the in-demand Chelsea winger Callum Hudson-Odoi, who is also a target for Liverpool. In a rather shocking turn of events, the Daily Mail have reported of the entry of Manchester United in the picture for Callum Hudson-Odoi. The Chelsea winger has been linked with several clubs of late, but it seems the likes of Liverpool, Borussia Dortmund, Bayern Munich and more will have to battle the Red Devils as well. Callum Hudson-Odoi’s is a peculiar case, but not too dissimilar from what we have seen happen to other academy gems to emerge at Chelsea. The damning fact which is now staring Maurizio Sarri & co. in their face is that despite Hudson-Odoi not being able to record a single start in the Premier League this season, the 18-year-old has been handed his senior England cap by Gareth Southgate. This might point towards obvious difference in how the two managers rate Hudson-Odoi. Maurizio Sarri has asked Chelsea fans to be patient, but Southgate feels the winger is ready to play a role for The Three Lions. In the aftermath of Hudson-Odoi receiving his first senior cap, a new suitor has emerged, with Manchester United joining Liverpool, Bayern Munich, Dortmund and more in pursuit of the 18-year-old. The Red Devils might have a lot of options in attack. But, they are still lacking out-and-out wingers, with Anthony Martial and Alexis Sanchez the only natural wide players in their squad. The Chilean has never managed to really get going and the lack of a credible wide player on the right has been having an adverse impact on United’s performances for a long while now. Manchester United have reportedly made Jadon Sancho their primary summer target. 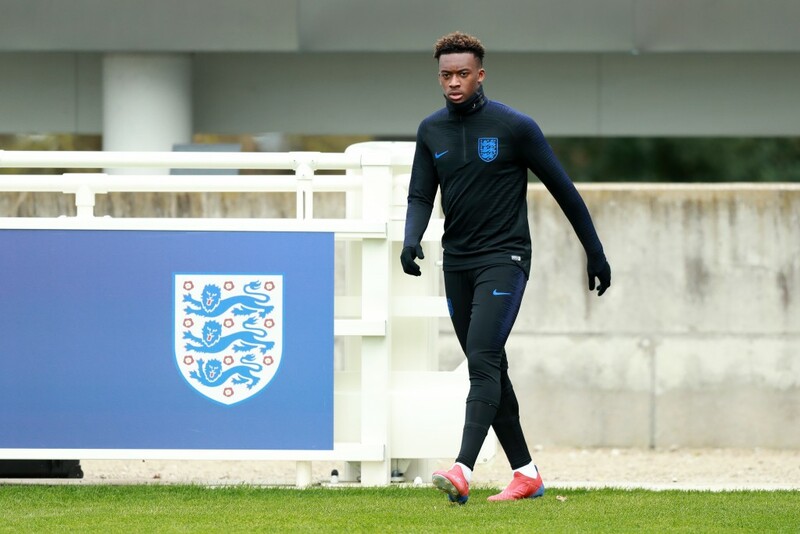 But, with increasing interest in the newest England sensation, United have entered the race for Hudson-Odoi as well. Juan Mata’s contract is up in the summer and if reports are to be believed, Alexis Sanchez will be moved off the books by Ole Gunnar Solskjaer. Thus, even if Sancho does end up at Old Trafford, there will be room for Hudson-Odoi as well. Liverpool have a stacked attack, but there aren’t enough options beyond the quartet of Xherdan Shaqiri, Mohamed Salah, Roberto Firmino and Sadio Mane in Jurgen Klopp’s eyes. The Reds are looking at several options, with Hudson-Odoi one of the names linked with the club. Chelsea’s transfer ban could pose a problem for all suitors. The Blues might be able to finally afford opportunities to Hudson-Odoi, with no scope for strengthening their squad from fresh arrivals. But, the 18-year-old is not ready to commit to a long-term deal and Chelsea run the risk of losing the winger for nothing in 2020, when his deal expires. It will be an intriguing summer for Chelsea and Hudson-Odoi. The winger has just one thing in mind, which is to play on a regular basis. 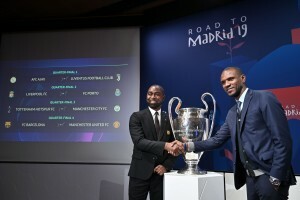 It will now be up to Chelsea to promise him the same and show it in their actions, if they are to prevent the likes of Manchester United, Liverpool and others from getting their hands on their academy gem.